Four buildings in Greenwich Village have been under consideration for landmark designation for more than five years. Now, they’re in jeopardy of being decalendared by the Landmarks Preservation Commission, in an attempt to solve a 20-year backlog. The buildings are 57 Sullivan Street, 138 Second Avenue, 2 Oliver Street and 801-807 Broadway/67 East 11th Street. The Greenwich Society of Historical Preservation details the buildings’ histories on its website, in an effort to qualify them for protection. 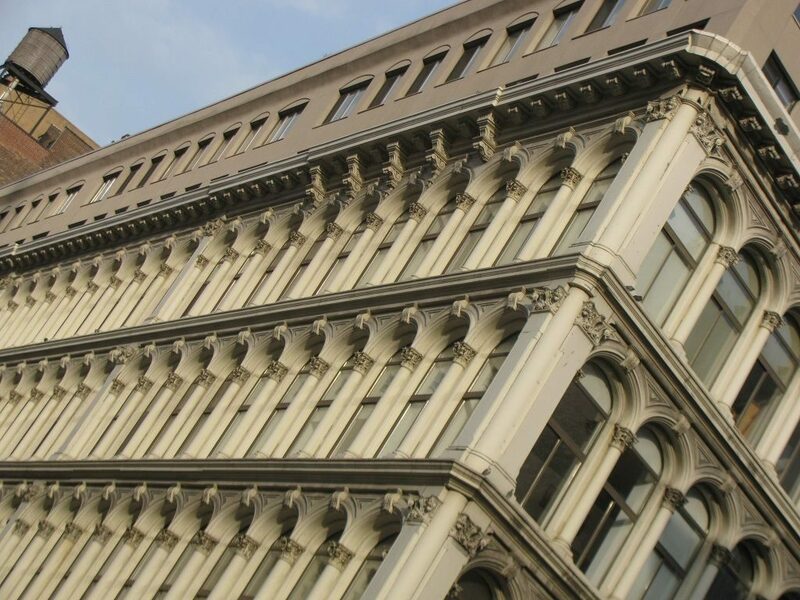 One of the most notable histories is that of 801-807 Broadway, a cast-iron structure originally built in the 1860s. In 1966, it became one of the first buildings to ever be considered for landmark consideration. In a letter to the chair of the New York City Landmarks Preservation Commission, Andrew Berman, executive director of the GVSHP, said it was highly significant. “It is one of the most striking cast iron buildings in the City, it was one of the premier 19th century shopping emporia and the late twentieth century alterations reflect one of the most consequential and influential building transformations in lower Manhattan and New York of the last half century,” he wrote. A public hearing was held on November 5th, and dozens of concerned citizens weighed in on the decalendaring of sites. Items which are decalendared, meaning they are taken off the calendar with no judgment on the merits of designating it, could still be brought forward for designation in the future. The Greenwich Village buildings have been in danger of this process since 2014 along with more than 100 other buildings. A number of other buildings will receive special hearings in the coming months. Citizens can still weigh in through written statements sent to backlog95@lpc.nyc.gov. Correspondence will be entered into the record and distributed to Commissioners.